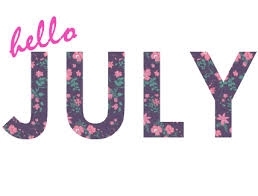 July again... | A.B.E. Remodeling, INC.
We just want to wish you all a safe and pleasant July. My, oh my, these months are flying through. The 2015 year is almost half over all ready. So quickly - everyone be safe and stay cool in the hot days to follow. If you're heading to the beach watch out for those sharks. They seem to be making news with an attack every two or three days lately. How about that nasty weather on June 30, tonado watches and folks who lost trees, cars and damaged homes. We're thinking of you and hope that things work out. Well, we just didn't want this first day of July to pass without us saying hello. May you all have a joyous July.